AnonD-204295, 06 Sep 2014You certainly got faulty one. Mine working fine with no lag. Using since one year trouble free... moreTry flashing the kernel. Tell mmx to redo the software and it will be good. Mmx need to do big withquality control anyways going to get moto x motomaker. 3 major flaws in the phone 1 battery too small 2 low space for internal apps 3 no card slot. Otherwise phone is fine. 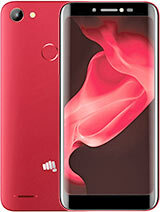 - In one incidents main screen found malfunctioning [faulty]which was being replaced by Micromax Service Center. Hope micromax will look in to matter, do needful. The only negative in this phone is kitkat update ids not there. I have our to my wife and now I like it more than my note. if it had kitkat I would have exchanged with my galaxy note. it's so good. just some times camera hands but reboot and all works fine. kp, 23 Aug 2014Nice mobile .... But iam facing a problem , itz shows insufficient memory space if a download ... moreI am facing same problem. What's the solution to this problem any idea bro? sabi, 01 Sep 2014hey guys plzzz suggest me i wanna bye this fone is dat right decision for me or not??? 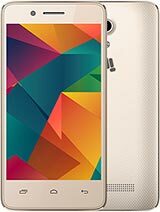 ?its a vry good smartphone , no poblm at al .. no hang , no lag , using it from 6 mnths ..
sabi, 01 Sep 2014hey guys plzzz suggest me i wanna bye this fone is dat right decision for me or not??? ?I'd suggest you check Alcatel Onetouch Idol X+. I've been using it for nearly three months and have no problems with it so far. It cost almost the same as Canvas Turbo (16,999), but has better specifications. 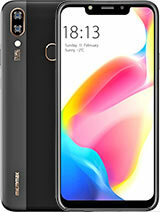 hey guys plzzz suggest me i wanna bye this fone is dat right decision for me or not???? 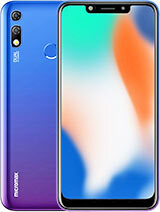 This phn is bst in this price rather than any other phns luke Samsung or nokia or soni. I m using it sunce lst November till tym never hanged. I dont know why peoples posting here that their phn hanged mch. All other features are good. Just waiting for updating to kitkat version. Anonymous, 16 Aug 2014I m using this from last 7 months. Out of 7 months it was there it was in service centre for m... moreSame problem for me too. Phone hangs a lot while using whatsapp or Fb and has touch screen problems. When I bought MMX I was proud I was buying an Indian product but now I regret my decision. In short it is a poorly constructed mobile. Raja, 26 Aug 2014Can i buy canvas turbo it that a suitable set plz help frnds plzzif u r not a gamer (i meant high graphic intensive games)definitely its a good handset..but it is old device if u are planning to buy at a price more than 16000INR u can go for Knight r Gold..
gyes primary camera is good but Secondary camera Of this Device Is Ausomn. 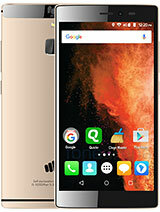 Total of 1731 user reviews and opinions for Micromax Canvas Turbo.